Have a question for Generator London? "Staff was really nice and the ubication is ok for this big city." "Everywhere was clean and the staff helpful." "Good place to watch world cup match." 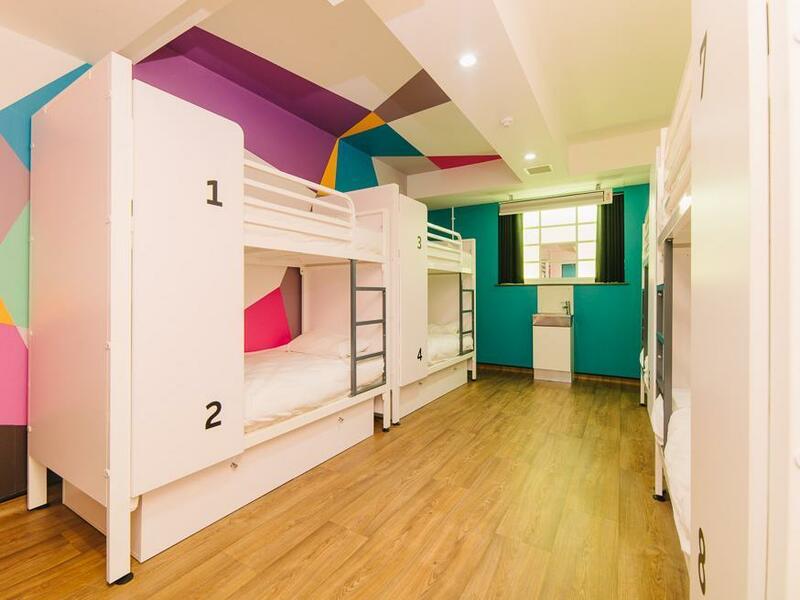 This party hostel close to Russell Square offers extremely good value for money in a central location – ideal for students and backpackers. The Generator London is only 250 meters from Russell Square underground station and 500 meters from King’s Cross underground and mainline station with access to all of the UK. St. Pancras Station, the terminal of the Eurostar, is only a little further away. The British Library and the British Museum are within walking distance. 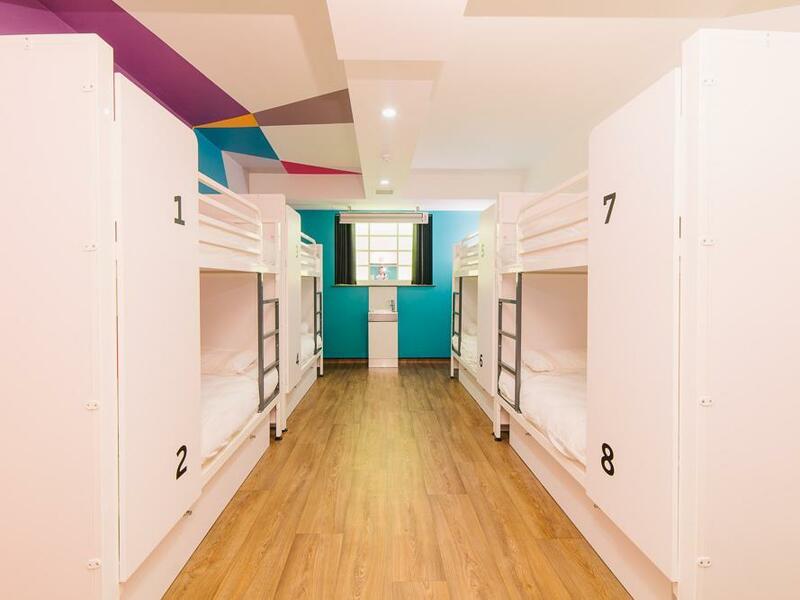 The hostel has over 800 private and dormitory beds with shared bathrooms. The property is clean and well maintained, and guests find it easy to make friends here. Facilities include broadband Internet access, laundry, a bar, a restaurant, and a very lively disco. Generator London can be easily booked with our secure online booking form. Simply enter your dates and click to proceed. "Great location, walking distance to attractions." The lockers have a cost of GBP 6 per day (it can fit a ruck sack of up to 50L). When booking for 10 or more persons, different policies and additional supplements may apply. The only plus point of this hostel is the location. Rooms are tiny, bathrooms are dirty and there was no water for one entire morning in men’s bathroom. Selection of food is limited...and though my booking in Agoda said ‘free breakfast’, I didn’t get it! Totally dissatisfied and disappointed. staff at the reception check in was a bit limited. Waiting time can be long. rooms are acceptable for hostel grade. Location is good. Staying there more than 3(three) days was pretty amazing experience. At the center of London, that less than 10mins walked to King's and Rusell Square Metro. The hostel also pretty near to Brunswick Center, where I can find GBK, Yo! Sushi, and Nando's. The room also checked and cleaned every morning at 10. as well as the bathroom.. but at the wrong time (about 7 to 10am). That's my bath-time, that caused me to find other bathroom (other floor). Other than the bathroom things, I am sure will be stay again at GH London. It’s really near to the King Cross, about 8 mins walk, the facility is really well. If you really want to be picky, the shower room is a little small, and you need an UK adaptor to charge your phone. Even consider about the price rate of London, this Generator chain in London was the most horrible hostel ever. I am kinda ok for anything about accommodation but the very basic facilities were so poor. Like rest room isnt located in your room, no hot water, dirty and smelly corridors and narrow rooms. Most importantly, staffs are not good english speaker which means there would be many chances that they cant understand your requirements, such as extension of your nights, card malfunction those kind of details. I also been through misunderstanding with receptionists... the only reason i stayed here more than 2 nights was i am tired of moving again and expensive taxi fares..
Was not my first choice. Unfortunately my initial booked accommodation cancelled two days prior. In rush to find one affordable on new year eve and in King Cross area. Stayed in 8 mixed dorm. There are CCTV at a lot of places, but many exit door weren't locked. So any one can sneak in and stay for the night outside the dorms, inside the premises. There were drawers under bunk bed for each bed holder, just that you need to have your own lock. Alternative, buy a combination lock from reception. Tooth brush, toothpaste , towel etc are available for purchase or hire. It is convenience, not cost effective if you on tight budget. Lockers fees £8 for 24hrs. Again it is convenience, not cost effective. All you can eat breakfast £7 pay when you check in. I think its cheap. I had bar food - Buffalo wings £8 for dinner. I think it was tasty. The heater wasn’t working so we were freezing at night and didn’t sleep well. The extras were very expensive - towel 4 pounds, luggage 6 pounds for 6hr, laundry (wash + dry) 6 pounds. Massive place so relatively long wait at reception too. No kitchen which you can use to cook or warm food. Great hostel, but too bad one of our group bring a very heavy suitcase and we had to take the stairs. Think they had wheelchairs access but maybe it was to hassle to ring the employee to help us. Good place to watch world cup match. Hey! Thanks for your feedback, our front desk team will be so happy to read your feedback. Hope to see you again soon. Hey! Thanks for taking the time to share your feedback, your tips will be so useful for people. Yes feel free to request rooms on higher floors, you can send us an email before arrival requesting this. Pro: Good Location very closed to King Cross & Russel tube station, the bedroom and bathroom is big and clean, there's hairdryer in the bathroom. There's bar and lounge to hang around which is pretty cool, wi fi is strong even in the room. Cons: No towel provided, you can only buy from them. There are worker (not Generator Hostel worker) staying in the room and they slept during the day, so most of the time, i can't turn on the light which is difficult when you need to pack your things. I extended my stay to 12 bed dorm, it's still have big size room, however it is directly below the bar hence, it is noisy as the bar play the music until late night. But overall it is fun to stay and will definitely stay again next time. A good hostel, but the room I was in was very cold. Developed a bad cough and barely slept a wink in my last night of 2. Had a hot shower there at 6 am to get some warmth then checked out. 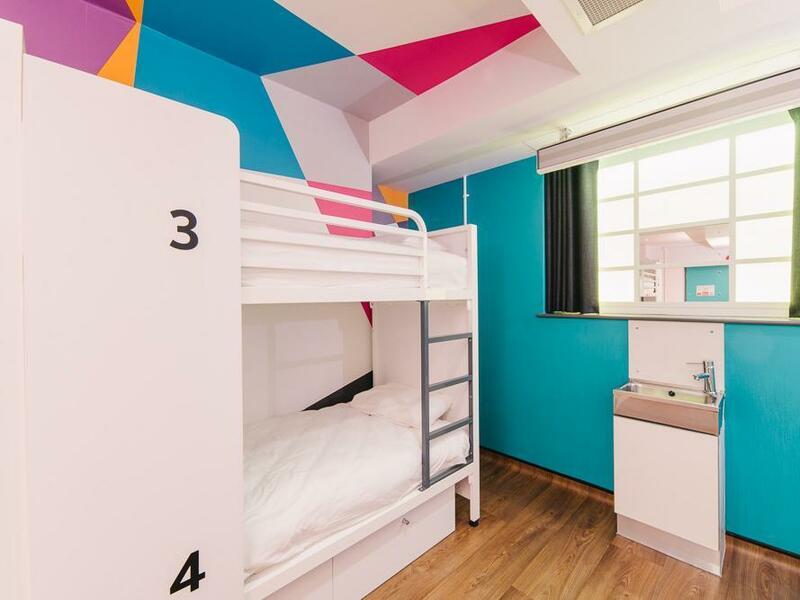 however, the hostel is modern and clean. Just freezing cold. Thought I'd let you know..
Hello, Generator London is a very old building that was originally a police training barracks. Unfortunately with it being a listed building, the opportunity for us to change the shape and size of the rooms is not there. We have arranged the rooms in the best possible way to accommodate our guests comfortably and safely and I am sorry you feel we haven’t achieved that. We do also have larger dorms which are more spacious. We hope despite this we can have the opportunity to see you again in the future. I lived in the room below the bar. It was noisy at night. I could still hear the music from upstairs after 2 or 3 a.m.. Sometimes someone made huge noise just like something heavy dropped on the floor, and it really annoyed me when sleeping. My hand carry luggage which I have my IPad was stolen from my room. The management does not help in any way and just ask me to go to police and take care of the incident all by myself. They did not check CCTV. After two days, my IPad, which I put on lost mode, location was shown on the very same hotel. I ask them they told me to go find myself it was not their problem. Do not recommend to stay there. Hi there, Please accept our apologies that this happened, it is certainly not a common occurrence and what you have described does not sound like our policy at all. 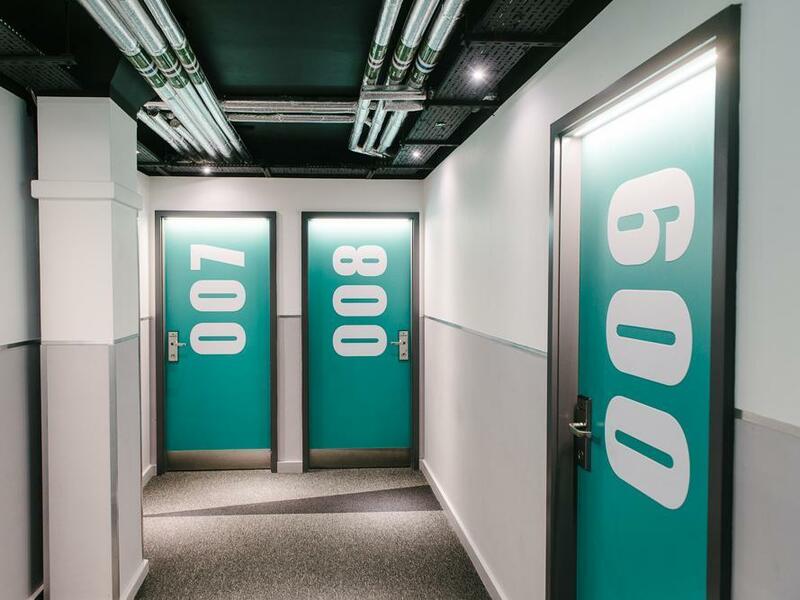 We have the ability to read each door in the hostel and can see who entered, we also have CCTV outside each room and have a duty manager on every shift. As you stayed with us one year ago in 2017 it is hard to make an investigation now, although certainly if it came to confronting a fellow guest this would have been a matter for the police. -Great for Youth -Can be Quite Overwhelming for those who likes peaceful and restful setting -Quite disappointing at the heater system, feels too darn cold in winter. 2 Blankets was not enough to compensate the poor heating system. Everything is great. However, the shower room could be bigger, it's difficult to take shower even for a mid-size Asia girl like me! Hi Yi, Thank you for your feedback, its lovely to hear from you. We will let our maintenance team know your feedback regarding the showers, we also have some rooms with a private bathroom inside the room which may suit some guests better. Best wishes Guest relations team.